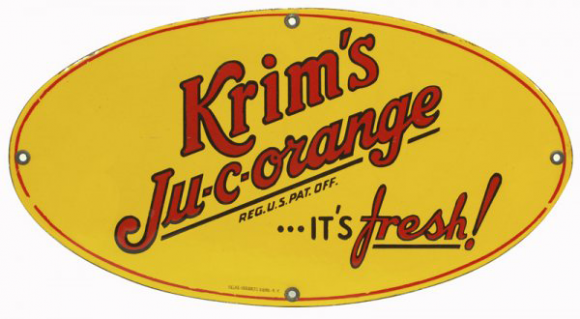 This is an oval Krim’s Ju-C-Orange porcelain sign. This particular Krim’s Ju-C-Orange sign is yellow with red text. It reads, “Krim’s Ju-C-Orange, Reg. U.S. Pat. Off., It’s Fresh!” and features a thin red border.